So here's what I'm working on right now just a home project of an F86 Sabre. It's something I started for a job years ago but the job was canceled but I always wanted to carry on so hopefully I'll get time to get it done this time round. On the left is one of the back wheels & on the right is a WIP of the front wheel. Both still need work as this is early stages. 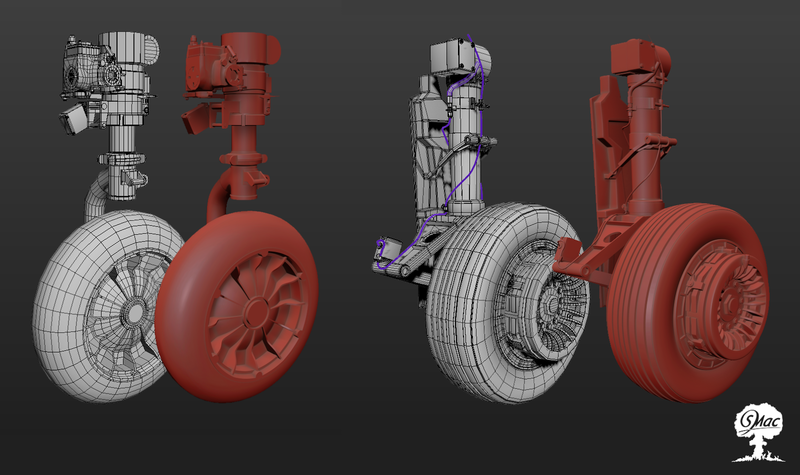 At the moment I'm modeling a F86 Sabre so I'll be posting progress pics soon. On another note I've had some family deaths so I'm slowly getting back into posting again. Thanks for the support/looking/taking an interest.